India celebrates Children’s Day on November 14, which is the birthday of Pandit Jawaharlal Nehru, the first prime minister of the country. He was fondly called Chacha Nehru or Chachaji. This article will help you know all about this day from the reason of celebration to the first time it was celebrated. Watch the video to know more about this day and Jawaharlal Nehru. 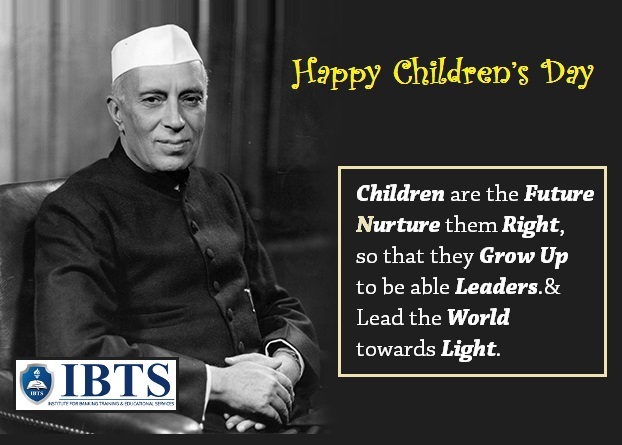 Pandit Jawaharlal Nehru was very fond of children, it was his love for children that made Indians celebrate his birthday as Children’s Day. Children’s Day was celebrated the first time in 1964 on his birthday. Prior to 1964, India celebrated Children’s day on 20th November, which was observed as the Universal Children’s day by the United Nations. But after his death in 1964, it was unanimously decided to celebrate his birthday as Children’s day. Jawaharlal Nehru was the first Prime Minister of Independent India. He was born on November 14, 1889, in Allahabad, India. His father, Motilal Nehru, was a well-known eminent lawyer who belonged to Kashmiri Pundit’s community. Jawaharlal was the eldest of four children born to Pandit Motilal Nehru and Swarup Rani. In 1916 Nehru married to Kamala Kaul. Their only daughter Indira Priyadarshini was born a year later in 1917, who later rose to the position of Prime Minister. In 1955, Nehru was awarded Bharat Ratna for his outstanding contribution during the freedom struggle and as the first Prime Minister of India. Several institutions and memorials have been named after him as a mark of respect and tribute including the Jawaharlal Nehru University, Jawaharlal Nehru Port, Nehru Memorial Museum and Library and so on. Pandit Jawaharlal Nehru was a prolific writer in English and wrote several books which include ‘The Discovery of India’, ‘Glimpses of World History’, and his autobiography, ‘Toward Freedom’, ‘Letters from a Father to His Daughter’ etc. In 1959, the Government of India initiated the Jawaharlal Nehru Award for International Understanding. It is presented for outstanding contribution to the promotion of international understanding, goodwill, and friendship among people of the world. Nehru’s health started deteriorating in the early 1960s. Though he did spend some time recuperating in Kashmir, it did not help much. Nehru left for the heavenly abode on May 27, 1964. His body was cremated as per Hindu rites at Shantivan, on the banks of the Yamuna River.